CCIE (Cisco Certified Internetwork Expert) is the most advanced level of networking certification available from Cisco Systems. CCIE certifies the skills required of expert-level network engineers to plan, operate and troubleshoot complex, converged network infrastructure. This certification is the most prestigious Cisco certification and is recognized all over the world as the best networking certification. If you want any more info about CCIE Certification Details like Prerequisites, Exam, Cost, Validity, Jobs, Salary, etc please scroll down the page. The Full Form of CCIE is Cisco Certified Internetwork Expert remains one of the most coveted networking certifications available. There are 6 CCIE certification specializations available, each corresponding to a Cisco certification path: Routing and Switching, Collaboration, Data Center, Security, Service Provider and Wireless. 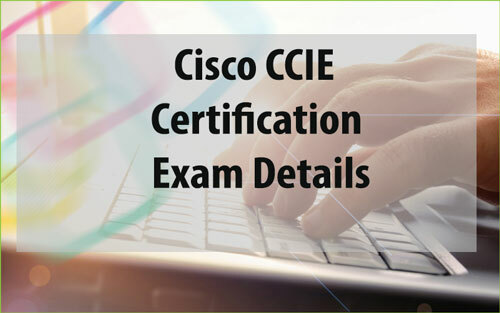 In the year 2016, Cisco added an evolving technologies section to the CCIE exams, covering such strategic operations as programmability, internet of things and cloud computing. 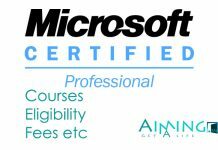 This certification is highly demanded in and outside India but in Australia, USA and UK is top market for this certification. Each CCIE certification path requires a written and lab exam. Written exam scores are valid upto 18 months. Lab exams must be attempted within 18 months of the written exam. Candidates must retake the written exam if they do not pass the lab exam within 3 years. There are no formal prerequisites for CCIE certification. Lab exams are $1,600 for each attempt. CCIE Certifications remain valid for two years. This Cisco CCIE Certification is accepted worldwide as the most prestigious networking certification in the industry. Network Engineers holding an active CCIE certification are recognized for their expert network engineering skills and mastery of Cisco products and solutions. According to a U.S. survey, the average CCIE earns $110,000 to $175,000 a year. For more updates keep stay on our site www.aiming.in. Book Mark our site by pressing ctrl+d.